This is the Elk with Mountains Decal yet another of our Corsetti Designer series decals. 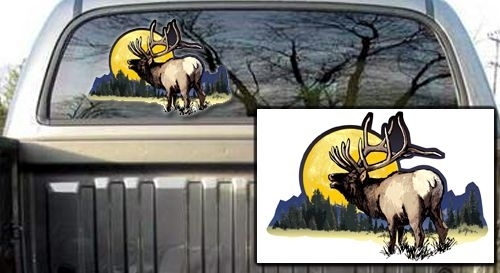 If you are an avid elk hunter like us this full color decal will strike a chord with you as well. Available in larger sizes on request.